There are few cure-alls that exist in the world today. In fact, I’m tempted to say there’s only one: WD-40. While the substance is known for its ubiquity in households across America, not many of these households know the many surprising ways in which it can be used. These mostly undiscovered life hacks can do everything from prolonging the lifespan of our showerheads to removing the gum from your child’s hair. So, if you’d like to learn some new ways in which to apply this most useful of substances, read on and prepare yourself for enlightenment. 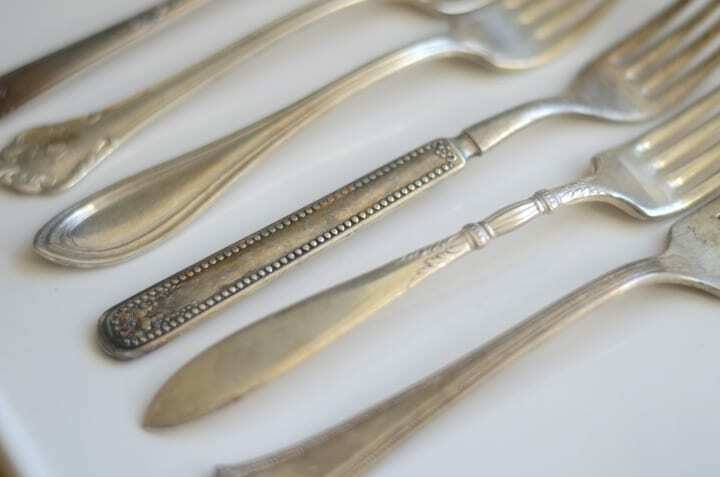 Ever had tarnished silver? Me neither. Regardless, if you want to prepare yourself for the inevitable cutlery meltdown (which happens to everyone), stock yourself with some WD-40. The magical petroleum-based substance will invariably protect that beautiful silver sheen. Unless, of course, you’re terrible at applying. You will, however, want to make sure you clean the implements thoroughly after applying. Why? Because, as I just said, the stuff is petroleum-based. So, if you don’t like going mouth-to-mouth with your local gasoline pump, you probably also won’t enjoy drinking from a silver chalice lined with WD-40. You can thank me for this later. If you hate wet socks as much as I do, waterproof shoes are probably a good idea. 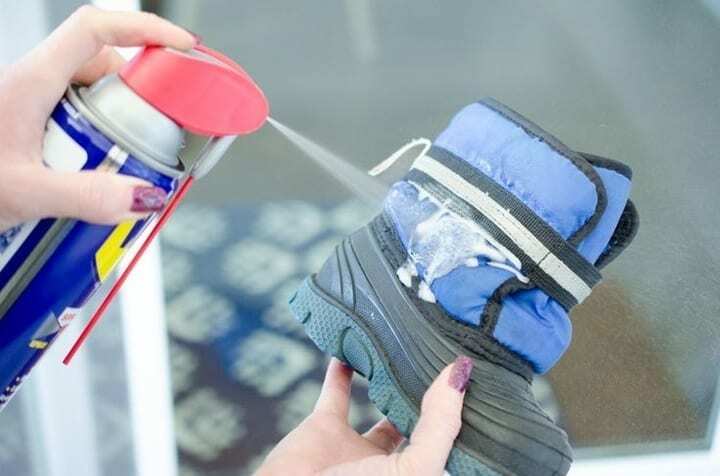 And what better way to waterproof your shoes than to resurrect the WD-40 you undoubtedly have tucked away beneath your kitchen sink and giving the ol’ shoes a spray? Make sure, though, to cover the entire shoe, sole, and every other appendage of the foot-covering hardware. Since WD-40 was originally intended as a way to repel water (the WD does stand for “water displacement,” after all), it makes sense that it would serve as an effective way through which to protect your shoes against that most irksome of weather: rain. 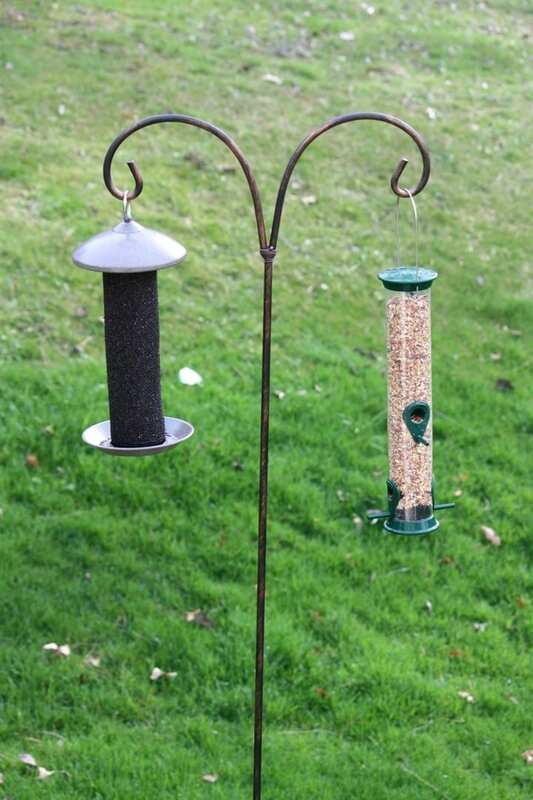 If you’ve ever owned pole-standing bird feeders, you probably hold some sharp grudges against squirrels. You know, in other words, their strong proclivity to ascend the poles, mount the top, and gorge on the seeds within. You feel even worse knowing that all of your little bird friends are being deprived of their rightful feast. So instead of priming yourself to do battle with a wily chipmunk or other woodland rodent, you can just glaze some of that WD-40 down the pole. The next time those pesky squirrels try to score a free meal, then, they’ll just keep on sliding. So not only will you keep your bird feeder safe, but you’ll be also stocked with entertainment that will last you hours. Is your toilet gross? I’ll bet. To keep it from getting any grosser, you could spray some WD-40 on it. Why? What will this miracle substance do to prevent the grime, muck, and otherwise icky particulates from accumulating and destroying your reputation to neighbors and guests? Well, first off, it will help remove any nastiness that already exists in the bowl. Secondly, it will help prevent any future debris from aggregating along the sides. 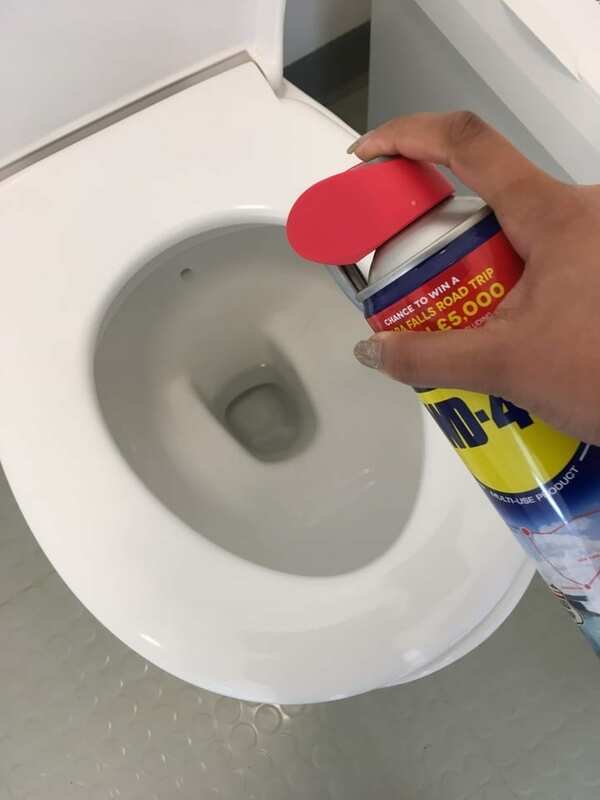 Since this is invariably something you would like to do for yourself (and perhaps the other residents of your household), I recommend you find yourself some WD-40 to get the job done. Ever sat in gum? Ever had a school bully shove gum into your child’s hair? Have you ever shoved gum into a child’s hair? Well, there’s a remedy for that. And no, it’s not dinosaur dung. It’s WD-40. The mystical and magical wonders of the lubricant will easily expel the tangles and furls induced by the gooey mess. Some cautionary notes, however: because the substance is petroleum-based, you don’t want it lingering around your body for too long. It’s advisable, then, that if you’re to put it into you, your child’s, or someone else’s hair, you’ll want to wash it out thoroughly afterwards. Yes, children can be a handful. But they can be even more of a handful when they draw all over you nice, clean white walls with crayon. But instead of panicking, picking up the phone, and calling your sister-in-law for places to leave your child for the month, you can just resort to the comfort of your WD-40. 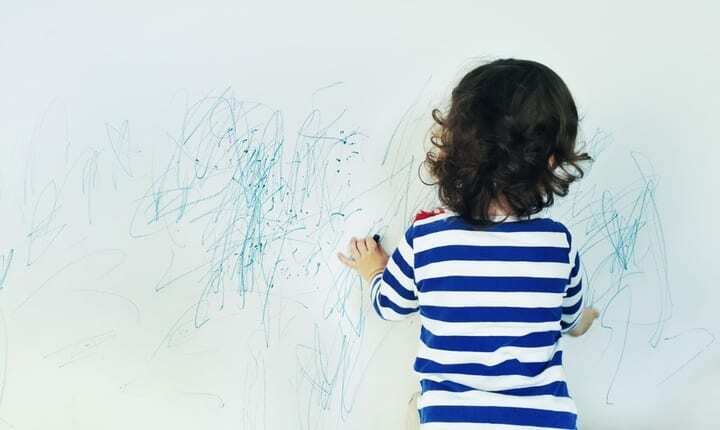 Just like that gum your child has stuck in their hair, this water-displacement technology can effectively remove the annoying crayon from your walls—and without damaging the underlying paint! How exciting! So while your child may be significantly dismayed that you no longer feel comfortable advertising their art on your brand new walls, at least you’ll have them clean. Live in a colder climate? Have to deal with morning frost build-up on the windows? Well, does WD-40 have the solution for you. Spray some on the windows, let it sit, and sit back and enjoy. 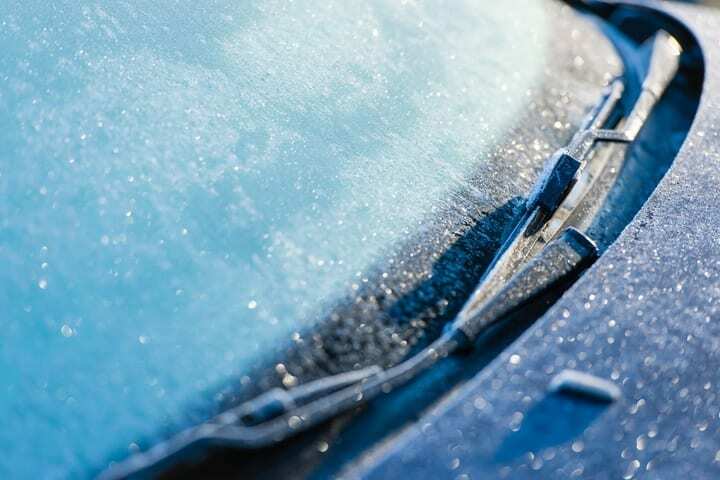 The layer of oil will not only prevent the build up of more ice, but a wipe or two will wipe off any existing ice like it were butter. So, all you Bostonians out there, stock up on your WD-40. If you’re up to it, maybe you could encase your whole car in the stuff. While the act might be tedious, you know the result will be favorable: no more ice. And no more ice means an easy drive to work, school, or whatever else you might have going on. Have a shower plastered in water stains? Well, water stains no more! WD-40 does an excellent job at removing these terrible stains and replacing them with a glean that even your grandma would approve of. And, we all know the notorious stubbornness of grandmas. Yes, we’re assuming your grandfather’s standards clearly aren’t as important. So if you’re trying to get that shower back to its original clear-glass sheen, find yourself some WD-40 and get to spraying. 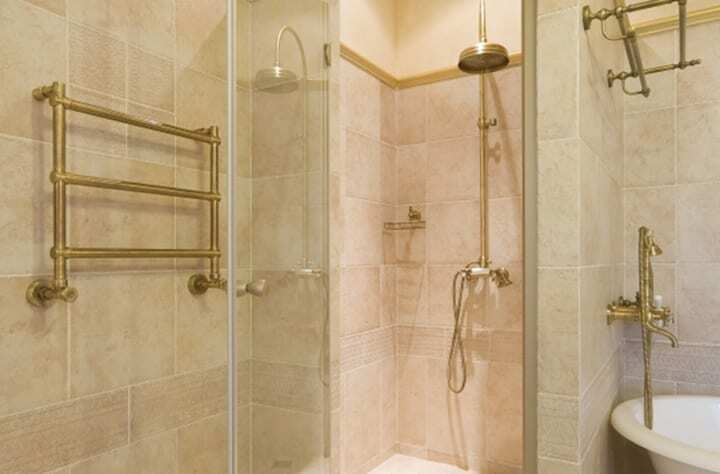 While it may take a minute or two to get the whole shower, you know the results will be favorable. So find yourself some WD-40 and get your spray on. Are your scissors gross with the gunk of a thousand cut chicken breasts? Have they been tarnished by the slicing of a thousand pre-packaged bean burritos? Well, fret no more. A little bit of WD-40 will quickly remedy that abundant grossness. The result will be scissors that cut as if they were good as new. The lubricant/miracle cure is more than adept at removing these tedious stains. So get to it. Apply some of the goo, let it sit, and rub away. It won’t take but a few moments before those scissors are good as new. Thanks a bunch, WD-40! 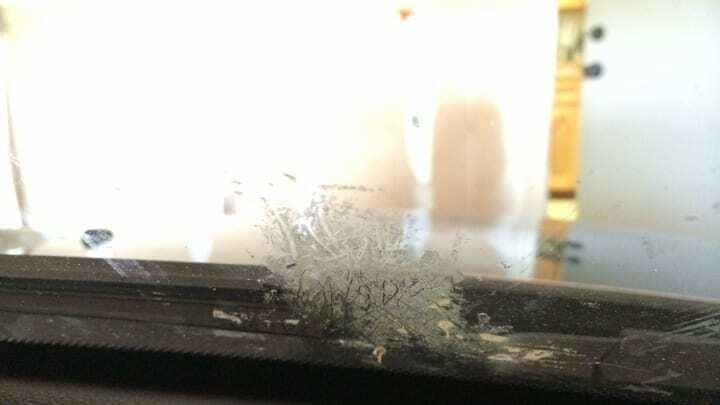 If you’ve ever had to remove a sticker from a car windshield or bumper, you’ll know what I’m about to say: the task can be terrible and humiliating. Not only must you labor over the long-lasting residue, but you also must sit there for hours trying to remove it—sometimes even days! Okay, not really. But the stuff can be painfully annoying. But not anymore! With WD-40, you can remove the gunk in seconds, applying briefly and then by wiping. Anytime you’re trying to rid yourself from some horribly placed Patagonia sticker leftover from your granola cousin, rest assured you’ll be okay. We’ve all been there. Your zipper gets stuck. Your mind gets angry. You look to your friends, foes, and family for a solution. But to no avail, your zipper remains stuck. So what’s the solution? Why, WD-40, of course! The lubricant is quick to un-stuck zippers and the like from their obstinate positions. Just look at this photo. 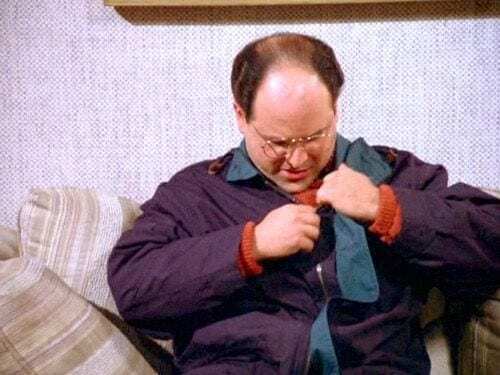 George is gettin’ upset! And if that doesn’t work, what should you do? More WD-40, duh! And if you can’t get the zipper unstuck by that point, it’s probably best you move on and invest in some new clothes or whatever. If WD-40 can’t remedy the stubborn zipper, in other words, it’s probably not worth salvaging. Ever driven through a tar pit? Ever taken your Jeep through the back country of freshly paved asphalt? You should try it, it’s fun. 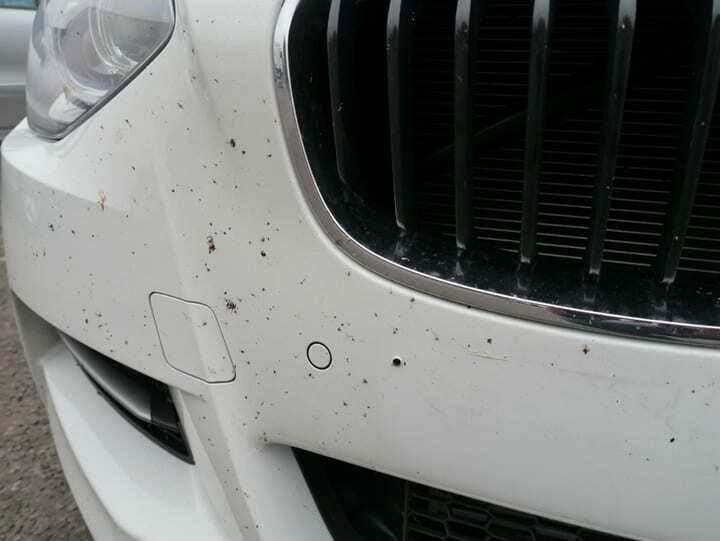 Still, that ugly tar that somehow found a way onto your bumper has also found a way off—WD-40. This miracle grease is excellent at removing tar without destroying the paint beneath. So if you actually value your vehicle, its appearance, and the way it drives unbesmirched of gooey tar, find that blue and yellow can and spray away. The result will inevitably be a car that not only drives with a new car sheen, but also a sparkly glow that only comes from someone that knows how to clean. If you’ve ever gotten coffee or tea stains on the top of your desk, table, or other furniture, you’re not alone. We all do it, whether we’re just trying to wake up or plow through some late-night assignment. The result, however, isn’t palatable. Stains, pains, and lots of no more gains. Well, good thing WD-40 has our back. The miracle cure works great for removing these most agitating of stains. So just spray it on the table, let it sit, then whip away. With each wipe you’ll see a table that more closely reflects the clean person you deserve to be. 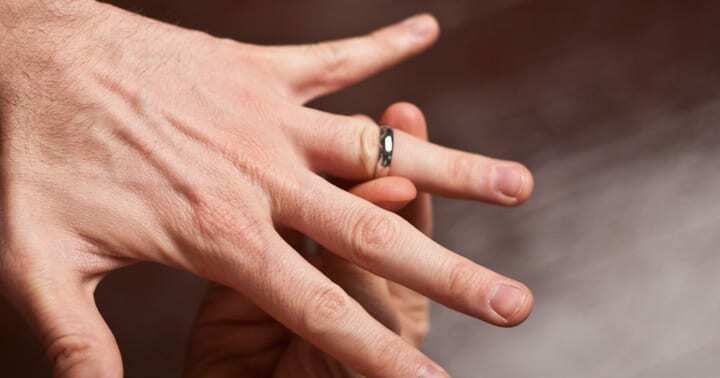 If your partner bought you a ring that’s several sizes too small (thanks, Barbara), no need to worry. 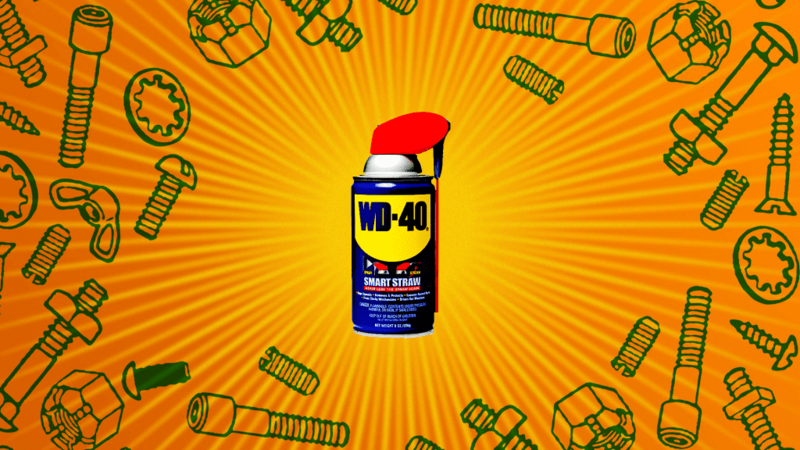 WD-40 is here to save your marriage (and maybe even your appendage). Whether you need to take it off once a day or once an hour, WD-40 is here like a non-judgmental marriage counselor. So while your lover may tell you not to down so many beers, pick up your laundry, or to do the dishes, WD-40 will do nothing but lend support. 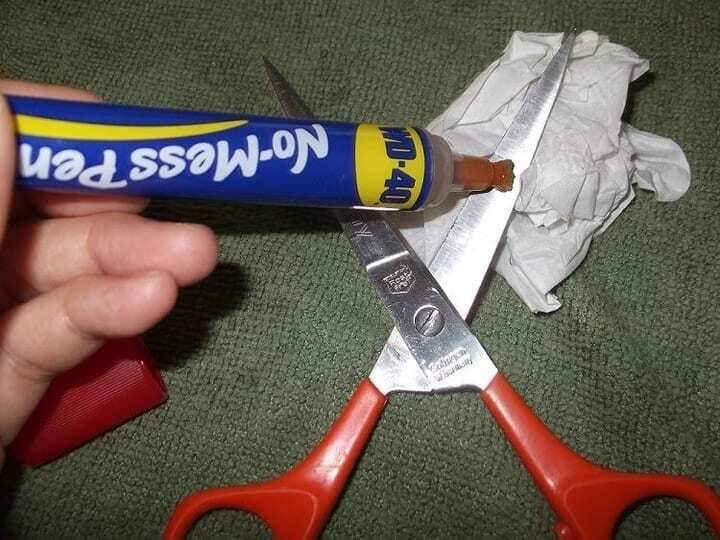 So if you’re having trouble getting that stubborn ring off your too-large of finger, give WD-40 a try. Like in most instances, it’ll probably help. Okay, so it’s not what sounds like. But, still these are not stains you want to take home to your significant other. And so, to get rid of them you should take to you friendly neighborhood can of WD-40. The water displacement serum will act as a great pre-wash treatment for you newly found stain. Now, if the stain comes from your significant other, maybe you should wear it around for bit to show your appreciation. But who kisses directly onto a collar? It’s naughty, quite frankly, to do that to a perfectly clean shirt. So reach for that WD-40 that’s most likely on a wooden shelf in your garage and rid yourself of this scandalous smear. 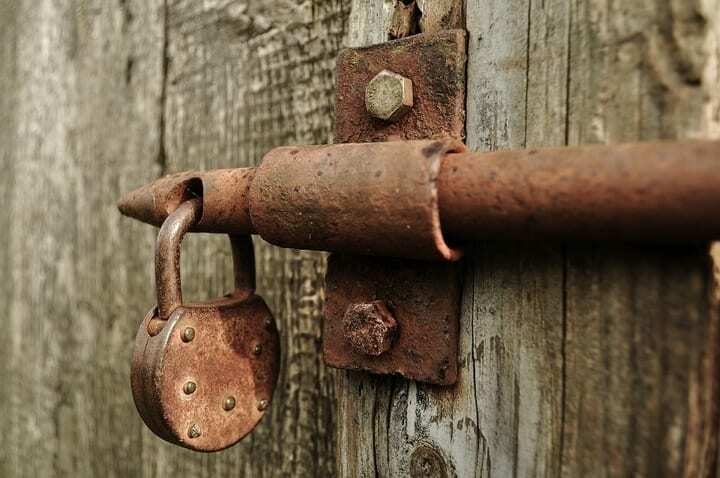 If you’re having trouble getting into your house because of a rusty lock or key, worry no more. You won’t have to break a window (again). Instead, just run to the store and get some WD-40. The lubricant will easily fit your key to lock, regardless of the amount of rust. While it’s probably wise to invest in a new lock or key if this is a consistent problem, the WD-40 will definitely act as a band-aid. And if you’re not into band-aids, you’re likely not into safety. And if you’re not into safety, you’re likely not going to last long on this planet. If this is case, your defunct lock or key are probably the last of your worries. Everybody gets tired of replacing those pesky old showerheads. They can get real grimy real fast. But if you’d like to extend the life of this most important bathroom item, use some WD-40. The miracle cure will enable longevity where there would otherwise exist frailty and defeat. While you might want to make sure the juice is sufficiently rinsed before you hop in the shower (unless you like getting petroleum sprayed all over your body), the lubricant will ensure your showerhead fights off that ugly rust. 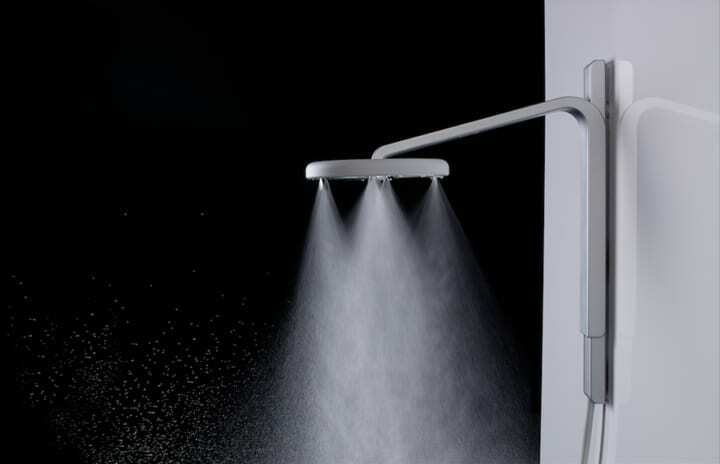 If you’re lucky, you’ll never have to buy another showerhead again. Unless you want to upgrade to a fancy massaging one. 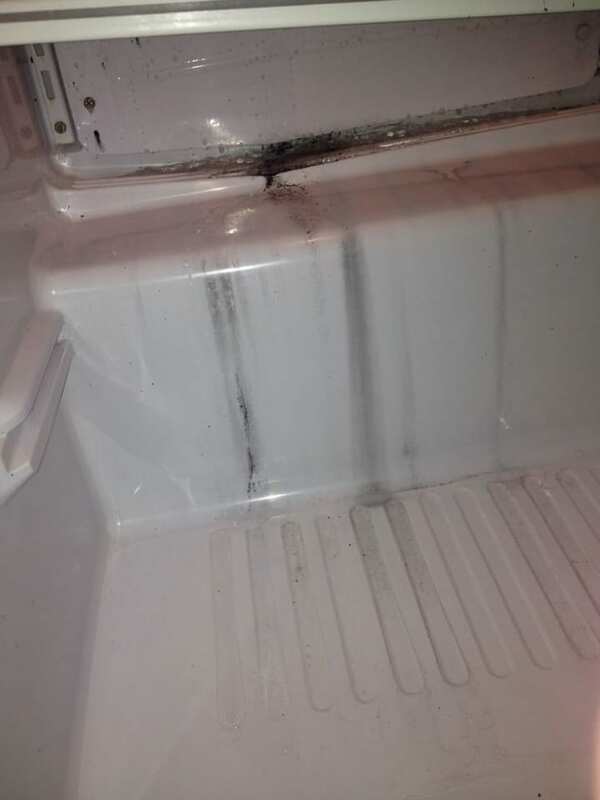 Ever had mildew in the refrigerator? Well, you’re like every other fridge owner. So how, you ask, can you easily, quickly, and efficiently remove this gross, disgusting mildew? With WD-40, naturally. Just spray some onto a rag or directly onto the dew and wipe away. The results will leave you astounded and baffled. Not only will your fridge look brand-spanking new, but it’ll never infect you with gross bacteria ever again. Even the bacteria will sit back in awe as their compatriots get wiped away to their untimely death. You’re fridge will be cleaner, and everyone will be happier for it. 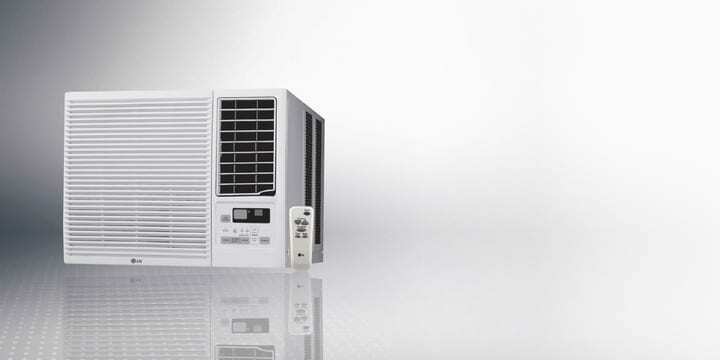 There’s a notorious problem among those in the know about air conditioners—the machines just blow around dust. Allergens? No thanks. So what’s the best way to circumvent this problem? Well, you can either (1) throw the air conditioning unit straight into the garbage, or (2) spray some WD-40 on it. We should coin a new motto here: Just spray it. The mixture of petroleum/fountain of youth will enable the dust and other detritus that would otherwise enter your home to aggregate and collect. So instead of inhaling whatever debris-cocktail your air conditioning unit would otherwise impose on you, spray some WD-40 on it and prevent the brew from spreading. Ever dig a hole just for fun? Ever dig one in a fictional book called “Holes”? Well, if you wanted to make this job easier—whether real or fictional—all you need is some WD-40. The magic elixir will enable the shovel to ease through dirt, mud, or gravel. It’s that easy! 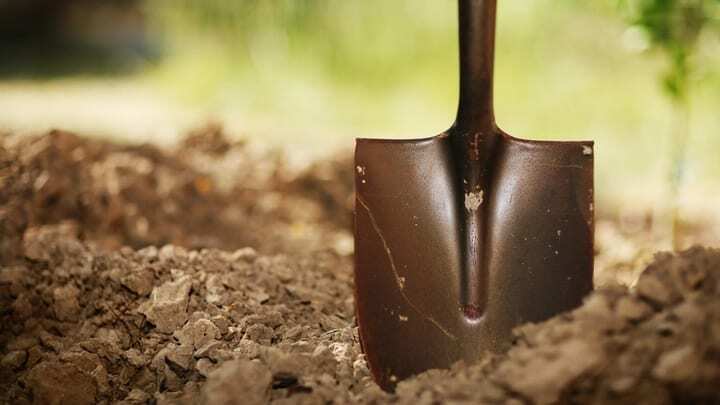 So while you may have engaged in some back-breaking work with your shovels in the days prior to WD-40, you needn’t engage in such shenanigans anymore. WD-40 will get you digging at record speeds and with record ease. So get to spraying before you get to digging. Your back will thank you for it. 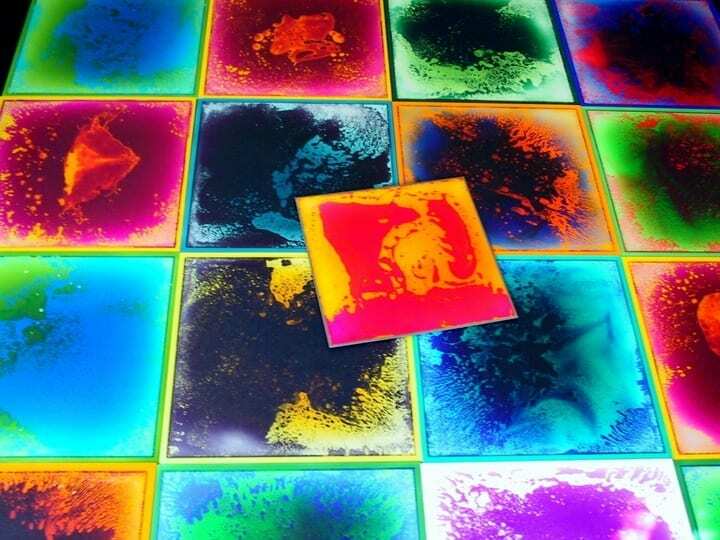 If you have any dirty tile in your house, you’re not the only one. The stuff is easy to get dirty—especially if it’s white. But do you want to know an easy way in which to remedy these dirtiest of porcelain slabs? Well, you guessed it: WD-40. The substance easily rids the tile of dirt, grim, filth, and muck. After application, however, you will definitely want to ensure that you clean the tiles sufficiently with soapy water. Why? Because WD-40 is slippery as all get out. So, unless you want to accidently slip and fall on your way to an untimely injury post-stain removal, I’d recommend you engage in some thorough wiping afterwards. Got sink stains? So do we. And if you’d like to get rid of these, you can invest in some more WD-40. The stuff works wonders at removing any type of toothpaste residue, shaved hair shenanigans, or any other gunk that may have migrated itself into your sink. While you’d want to ensure the WD-40 was gone after the clean, you can rest assured that it would help you get the cleaning done. So I wish you many great and clean adventures with your freshly minted sink. 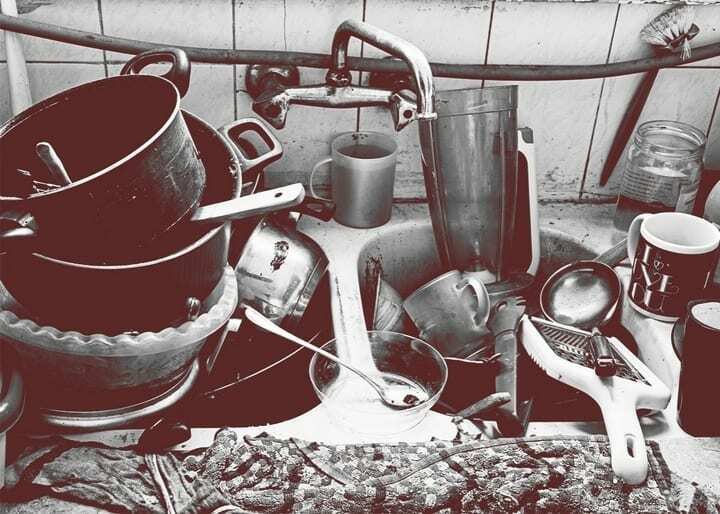 It will serve you well in the remainder of your beautifully clean-sink life. 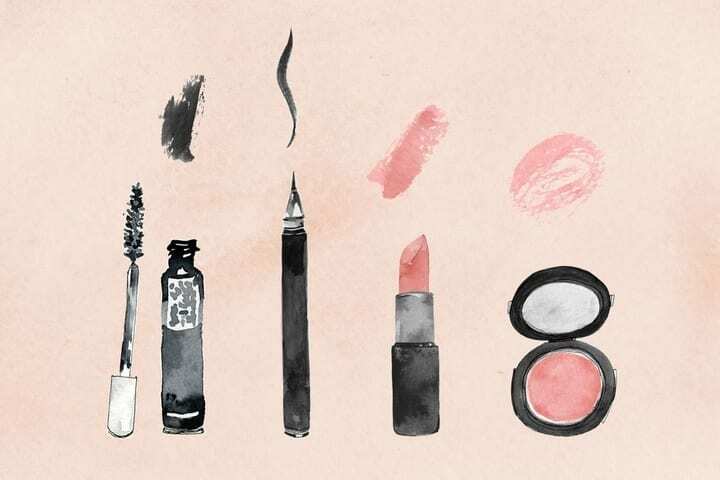 We’ve all wondered how it got there—that mascara on that floor. But no need to worry, you can clean it up. With water? No, of course not. You want that WD-40. 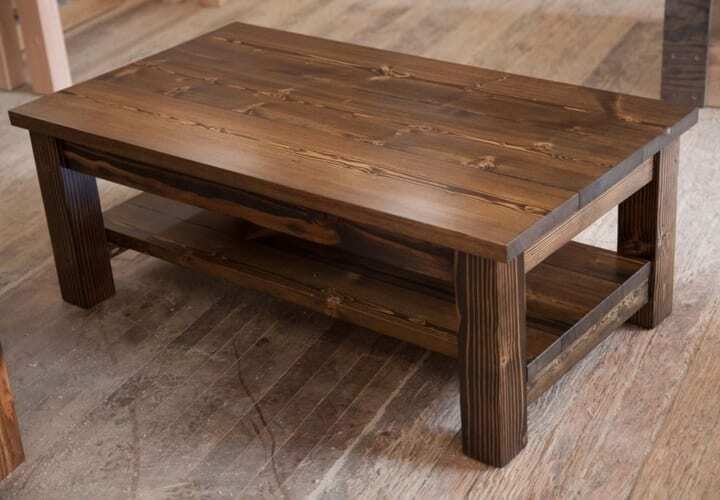 With a couple squirts of this bad boy, you will assuredly restore that floor to its original hardwood beauty without jeopardizing any of its integrity. And the last thing you want, as we all well know, is a floor with jeopardized integrity. Once you get one, you know it will never stop talking about it. Okay, nonsense aside, WD-40 will definitely help you keep a clean floor and remove and makeup spills it may or may not have incurred. There’s no worse situation to be in than having one of more of your Legos stuck together. 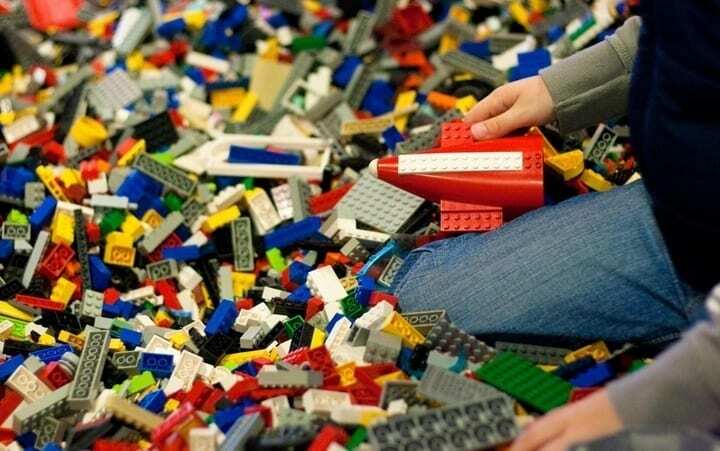 While you may be asking yourself what self-respecting adult plays with Legos (answer: there are many), I’m happy to inform you that you’re asking the wrong question. The right question is this: how to unstick said Legos. Well, we both already know that you know the answer to this most ancient of questions—WD-40. The substance works great at getting you to separate plastic block from plastic block. So whether it’s you, your child, or some random stranger on the street, know that if you’re struggling to unstick some Legos, WD-40 can help. While the number of applications for this wonder substance may seem endless, this couldn’t be farther from the truth. There are, in other words, a few applications in which this substance should not be applied. And I’m going to do you a favor by enumerating a few. 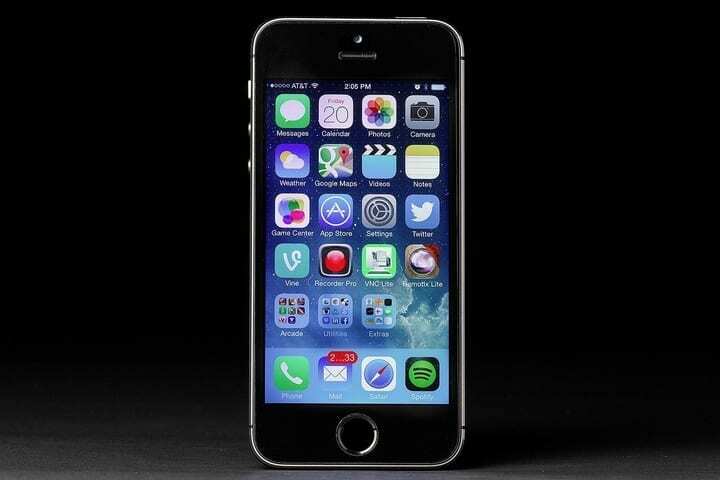 iPods, iPads, and iPhones, for instance, should never get this treatment. It will eat away at their plastic and possibly damage the internal electronics. Also, don’t use it on bike chains. The substance has the ability to stripe them of their grease. This is bad. Anyways, you should be in awe of this great number of applications. It’s clearly the best thing ever. And we know you have a can somewhere in your home. Another part of the WD-40 legacy is this: one can will last you a lifetime. It’s science. 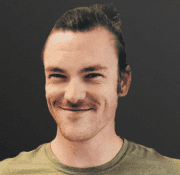 Taylor acquired his Neuroscience degree from UCSD and studied Biology at Stanford University. He is an advocate of nature, music, and the pursuit of scientific discovery. How Would It Feel To Be Interviewed For Your Next Job By A Robot?